I got two free items from Art Bird to do a review of! I never heard of the company, but after looking at the website and some of their products, I was certainly interested. 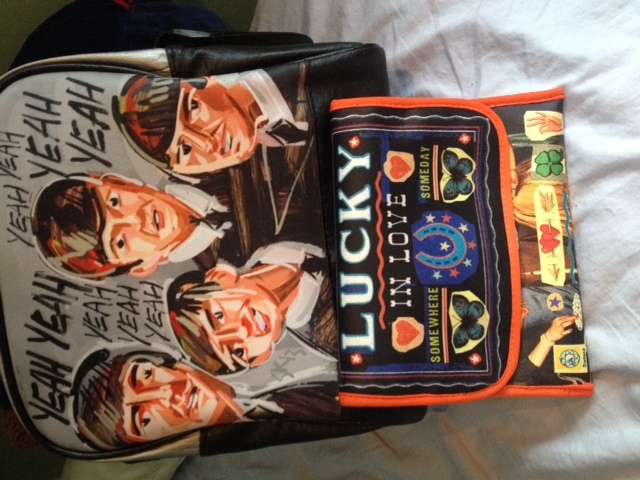 I chose the Lunch & Liberty Shoulder bag in “Yeah, Yeah, Yeah, Yeah!” and the Nuts & Bolts bag in the “Lucky in Love” option. As displayed, the Lunch & Liberty Shoulder bag is larger, and according to the website, it has a food safe lining, adjustable shoulder strap, can be easily sponge cleaned. 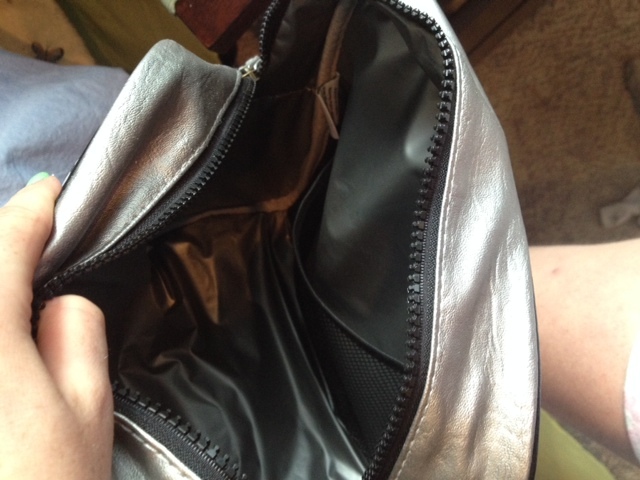 It has a mesh pocket on the inside, where I put a waterbottle, and plenty of room. Here’s a sneak peak. The bag costs $29.99, but again, I was sent it for free. 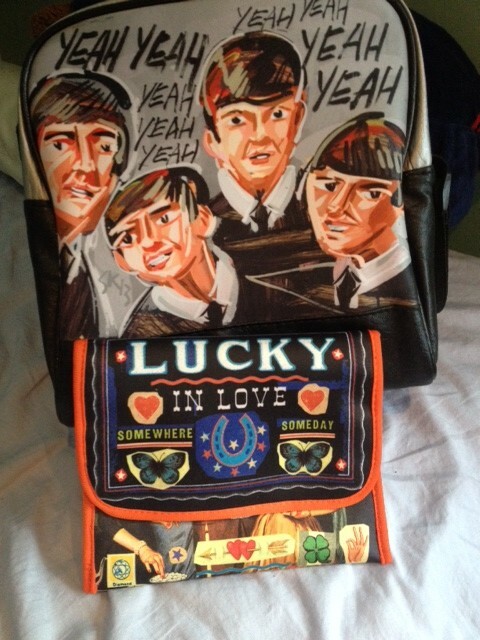 The Nuts & Bolts (Lucky in Love) (value of $9.95) bag was more oriented toward snacks, a sandwich, or the tag even suggested to use it to carry things such as makeup. The website stated it was insulated as well, so I put a sandwich in it that I had refrigerated overnight. It is held closed by a large piece of velcro. Sadly, it did not keep my sandwich cold, but it did prevent it from being smushed in my bag so that was a plus. As a plus, as the website states, it is Earth friendly because you can use this instead of plastic bags. Woo! The bag was also awfully pretty, I think I will use it for makeup. I will have to give it 3 stars based on sandwich use/ keeping things cold, but for snacks and other things, I would give it a higher rating of a 4. Overall, worth a try! They have some really pretty designs. Check them out!